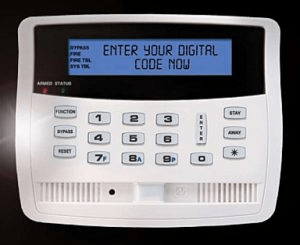 When your alarm system was installed, the installer asked you to select a secret entry/exit Passcode – the sequence of numbers (usually 4 digits) that you press into the keypad to arm or disarm your system. You probably selected a number that would be easy to remember for you and others who would be regularly using your system. However, the Passcode is not recorded anywhere and it is not on file with the alarm monitoring company. When the alarm monitoring company calls after an alarm activation occurs, your Passcode may be the first thing that you recall, simply because you use it so frequently. Remember, your entry/exit Passcode is not your Password.